SHE MIAMI RADIO SHE'S ONLY ROCK'N ROLL! 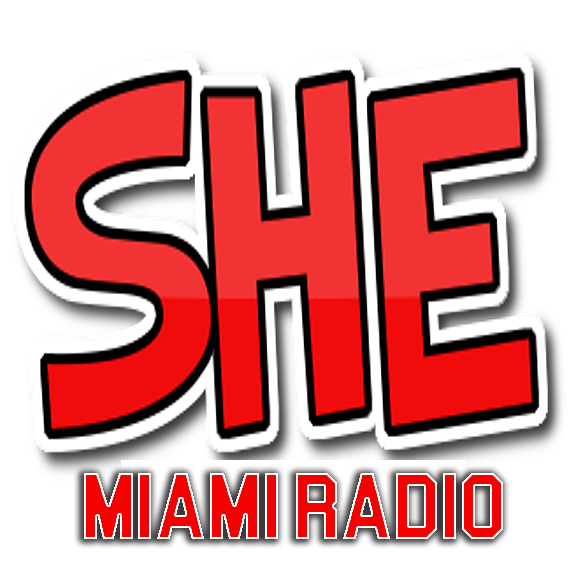 SHE-WSHE Radio WSHE Ft Lauderdale Miami, has Been Rebranded and Launched Onto The Internet and is Currently Owned By Tanner Communications, (Tanner Bros) Possessing Full Ownership,Trademarked & Copyright Legal Rights as Listed Publicly Below. WSHE 103.5 FM as Most of You All Remember Went Off-Air (1995) As We Were Bought By Paxson. WSHE Was Sister Of WSRF Surf 16 On The AM Dial. Both Owned By John Tenaglia Of (TK Communications). Our Old Davie Studio Bldg As You Might Recall In 'Silver Oakes' Tailer Park No Longer Stands. Demolition Began On Our Original Studio Bldg In '2002 To Make Way For Town Houses. We Sadly Watched As The Cranes Knocked-Down The AM Radio Towers Behind Our Studio. The Interior Studio & Office Area Was Being Gutted As If It Never Existed, We Watched As Over 30 Years Of Memories Were Being Hauled Away By Construction Crews. Nickname Was SHE 103.. No Person Grew Up In South Fla That Didn't Listen To SHE 103, Throughout The 70's Thru The Mid 90's.! WSHE 103.5 Was a Radio Station That You Took Everywhere You Went Throughout The 70's 80's And Well Into The 90's..
SHE 103 Was Suddenly OFF-AIR One Day In 1995, Only To Learn That SHE 103 Was Bought Out To Paxson, Followed By Clear Channel And Was Quickly Transformed Into Clear Channels Corp Radio Genre Of Main Stream Flash-In-The-Pan Programming. In 1995, a Format Change Was Made From Album Oriented Rock To An Alternative/Hot AC Hybrid Format, And The Call Was Changed To WPLL, Nicknamed "Planet Radio." Another Format Change (this time to Disco hits of the 70's) Resulted In Another Call Letter Change To WMGE, "Mega 103.5"
'2002, Month Of March, WSHE Was On-Air Again However,On The Frequency Of (105.5)FM, To Be Broadcasting At a Low Power Range At An ERP Level Of About 2,000 Watts, 125% Modulation Level Reaching Out To About a 25 Mile Radius. WSHE 105.5 FM Lower Power Quickly Made The Diary Arbitron Ratings In Greater South Broward / North Miami.Being Listed In The Diary After 4 Months On-Air At Low Power Is a Compliment We Did Not Expect. 2007, We Voluntarily Made A Decision To Remove Our FM Carrier As We Were Denied Class B License & Construction Permit Within Our Local Market. WSHE Studios Is Based Out Of Aventura Florida.WSHE Uses Two Studios Locally And Uses One Studio Located In North Carolina. We Actually Bring FM Radio Right Into Your Speakers.! We Do Not Believe In (MP3 Audio Format) / We Process Our Audio at a Sample Rate Of 96KHZ - No Less Than Direct CD's at 44.1KHZ, Is How We Achieve Our Signature Sound. Our Engineers Also Beta Test for Orban Telos & Aphex.We Will Also Be Testing Vorsis This Year.